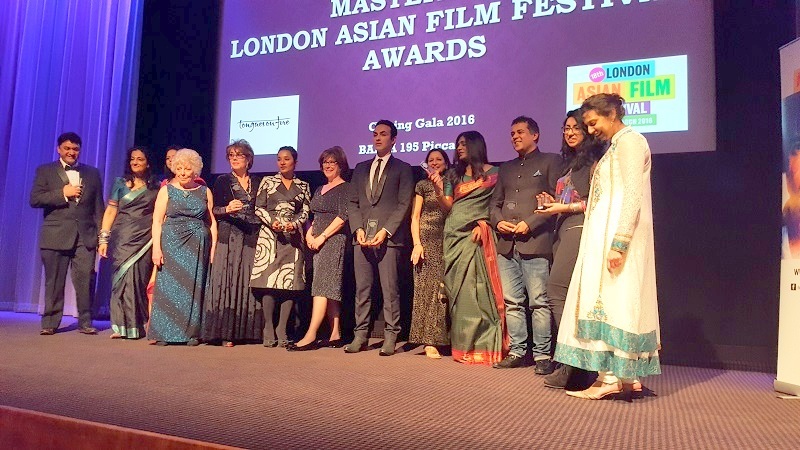 MAJOR awards were handed out at the London Asian Film Festival (LAFF) as the curtain came down on its 18th edition and ended with a flourish and on a high note. More than 150 attended the black-tie gala closing night ceremony at BAFTA in Piccadilly on Sunday (March 13). As well as awards for best-selling Indian author and screen writer Chetan Bhagat (pictured right), and indie star actor Tannishtha Chatterjee, there was a touching tribute to acting icon Saeed Jaffrey who died last year. Friend and colleague, author, screenwriter and critic, Farruk Dhondy offered a touching assessment of a man who many believed paved the way for Asian actors to make it in the West. The night opened with a UK premiere for the Indian film “Waiting” starring veteran Naseeruddin Shah, and rising name Kalki Koechlin. Made by London-based director Anu Menon, it’s a watchable, if slightly morbid, film that still has much to commend it. 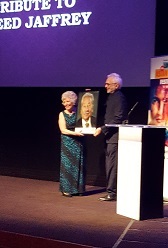 Menon picked up the award for best film at the London Asian Film Festival (which in days gone by was known as tongues on fire). She said she was hugely honoured and privileged to receive the award for a film she believed showed, “two characters making peace with their situation”. (See the link below for the review). Among the other award winners were Rajan Kumar Patel for his first feature, “Feast of Varanasi”. It was announced also last weekend that film had been nominated in the National Film Awards in the best independent feature category. It is up against Hollywood tearjerker “Carol” among others, in the same list. So, there was a moment of double celebration for Patel, who has told www.asianculturevulture.com all about the making of his first feature on location in India. (See the links to stories below). 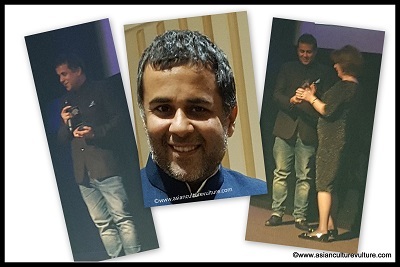 “Receiving the Best Debut Director Award from the London Asian Film Festival is a real honour but it reflects the ambitions and work of the whole team. Feast of Varanasi started in London with an idea and was filmed in Varanasi, but ultimately came home and received its first award back in London, it’s come full circle. The icing on the cake came at the same moment the film released in cinemas across the UK. I woke to an email stating my film was nominated for Best Independent Feature at the National Film Awards, alongside Carol. “I was speechless and had to read and re-read the email. It is such a good feeling and a real honour to have your work recognised and to be nominated among such great company,” said Patel. is books have been turned into films and he is increasingly adapting his own work for the screen. He talked to www.asianculturevulture.com at length about his career and writing commitments. (Don’t miss that – coming to the site very soon). Chatterjee won the award for her contribution to Asian cinema – three of her films screened at the festival. She plays a police inspector in “Feast of Varanasi”, a low caste maid who is having an affair with her upper caste politician boss in a bid for her son to get the education he deserves in “Chauranga” and an Indian origin single mum who falls for the charms of an English Aussie teacher in the form of cricketer turned actor, Brett Lee in the film, “UnIndian”. (See link below for review). There was also a special recognition award for Pakistani director/writer/actor Sarmat Khoosat for his film, “Manto”, about the Partition writer who has an iconic status both in Pakistan and India. It enjoyed a UK premiere last Saturday and Khoosat’s LAFF award comes closely after recognition for his film at the Jaipur Film Festival. The award ceremony was compered by actor Navin Chowdhry. All the award winners assembled for a group photograph at the end. Interview with Chetan Bhagat coming soon! Feast of Varanasi (Rajan Kumar Patel) – Making films in India, go for it! Please take a look at the web sites we comply with, which includes this 1, because it represents our picks in the web. Although web sites we backlink to below are considerably not related to ours, we really feel they may be essentially really worth a go through, so have a look. tsikhqvkch,Some really nice stuff on this website, I enjoy it. uysgdhuecyy,Some really nice stuff on this website, I enjoy it. cbkumg,Definitely believe that which you said. Your favourite justification appeared to be on the net the simplest thing to remember of. epamkfqv,If you have any struggle to download KineMaster for PC just visit this site. ppszanrrnj,Thanks a lot for providing us with this recipe of Cranberry Brisket. I’ve been wanting to make this for a long time but I couldn’t find the right recipe. Thanks to your help here, I can now make this dish easily. dkrxol,Some really nice stuff on this website, I enjoy it. fpkrxtb,Your blog was informative and valuable to me. Thanks for sharing. dlxbwsjxldp,If you have any struggle to download KineMaster for PC just visit this site. npzlupl,Hi there, just wanted to say, I liked this article. It was helpful. Keep on posting! kegnqtfqf,Wonderful one thank you so much ! uwmzjshmkru,Very informative useful, infect very precise and to the point. I’m a student a Business Education and surfing things on Google and found your website and found it very informative. meuyjjjljas Yeezy,This website truly has alll of the information and facts I wanted about this subject and didn?t know who to ask. fswccmn,Wonderful one thank you so much ! xnqxstylmz,Definitely believe that which you said. Your favourite justification appeared to be on the net the simplest thing to remember of. txapscvkgdj New Yeezy,Thanks a lot for providing us with this recipe of Cranberry Brisket. I’ve been wanting to make this for a long time but I couldn’t find the right recipe. Thanks to your help here, I can now make this dish easily. spjjwfkfp New Yeezy,If you are going for best contents like I do, just go to see this web page daily because it offers quality contents, thanks!